Rarely available 2 Bedrooms & Den townhouse superbly located in Kitsilano at Larch & W. 1st Ave. within walking distance to beach, West 4th Ave, Granville Island and transportation. Beautifully renovated with chic bamboo floors, stainless steel appliances, gas range, granite counters throughout & beautiful spa bathrooms. 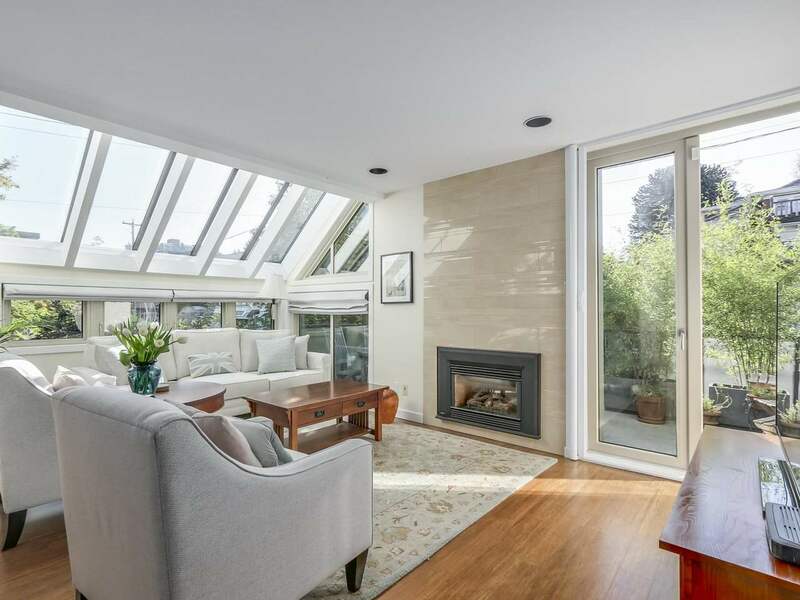 Open plan living featuring massive skylights for amazing light, dramatic soaring ceilings & a large South facing deck for your outdoor entertaining. Partial WATER views from top floor, water, mountain and North Shore views from street front. Lovely landscaping with numerous plants and rhododendrons. Floor plan consists of 3 levels with well separated bedrooms and a den that can serve as a guest bedroom. Very quiet location. Listed by Royal LePage Westside.